The Beatles 50 Years Ago Today: February 17, 1967. Beatles Radio: The Beatles, Solos, Covers, Birthdays, News The Fab 4 and More! A key date in The Beatles' career came with the UK release of perhaps their finest single of all, the double a-side Penny Lane/Strawberry Fields Forever. Although heralded upon its release as a major advance for the group - and, indeed, for Western music - the single failed to reach number one in the UK, the first time this had occurred since Love Me Do in 1962. Penny Lane/Strawberry Fields Forever entered the charts on February 23, 1967, and climbed to number two. It was held off by Engelbert Humperdinck's Release Me, and spent 11 weeks on the charts. The failure to reach the top was because many chart compilers counted the double a-side as two individual releases; it did, in fact, outsell Release Me by nearly two to one. It was pretty bad, wasn't it, that Engelbert Humperdinck stopped Strawberry Fields Forever from getting to number one? But I don't think it was a worry. At first, we wanted to have good chart positions, but then I think we started taking it for granted. It might have been a bit of a shock being number two - but then again, there were always so many different charts that you could be number two in one chart and number one in another. 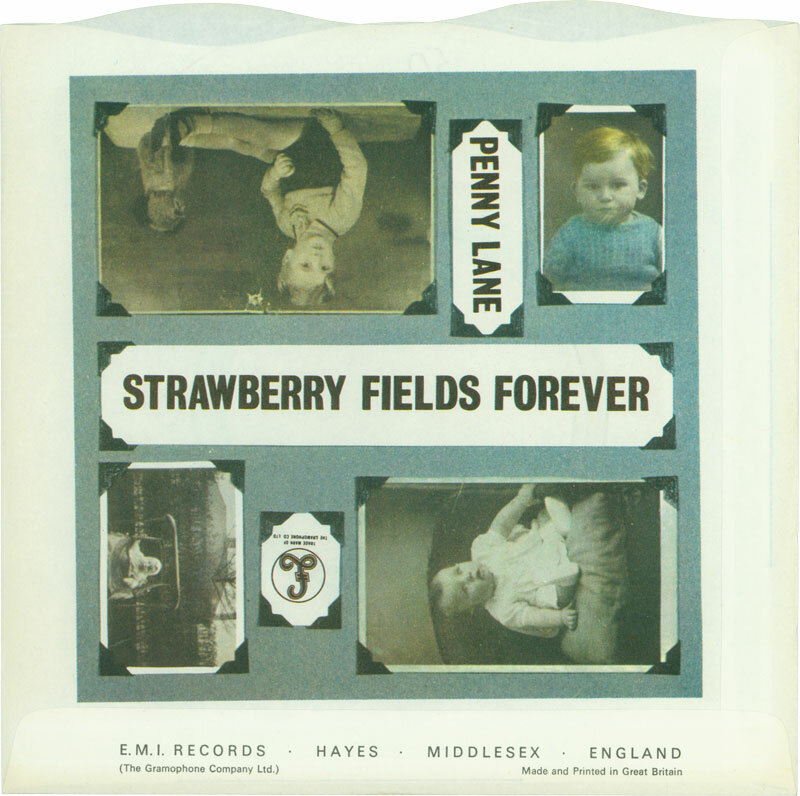 Penny Lane/Strawberry Fields Forever was issued as Parlophone R 5570. Initial copies came in a picture sleeve, unusually for the time. Indeed, only two Beatles singles were issued with picture sleeves in the UK, the other being Let It Be. It's fine if you're kept from being number one by a record like Release Me, because you're not trying to do the same kind of thing. That's a completely different scene altogether. George Martin later regretted not including the two songs on The Beatles' Sgt. Pepper album. The only reason that Strawberry Fields Forever and Penny Lane didn't go onto the new album was a feeling that if we issued a single, it shouldn't go onto an album. That was a crazy idea, and I'm afraid I was partly responsible. It's nonsense these days, but in those days it was an aspect that we'd try to give the public value for money. The idea of a double A side came from me and Brian, really. Brian was desperate to recover popularity, and so we wanted to make sure that we had a marvellous seller. He came to me and said, 'I must have a really great single. What have you got?' I said, 'Well, I've got three tracks - and two of them are the best tracks they've ever made. We could put the two together and make a smashing single.' We did, and it was a smashing single - but it was also a dreadful mistake. We would have sold far more and got higher up in the charts if we had issued one of those with, say, "When I'm Sixty-Four", on the back.